Rangers from the Wingecarribee Regional Illegal Dumping Squad (RID) are seeking information regarding the dumping of used carpet tiles on the Illawarra Highway. Dozens of boxes containing hundreds of industrial-grade carpet tiles were dumped sometime in December off the highway atop Macquarie Pass. The used tiles were found beside the rail bridge overpass located mid-way between the Tourist Road turn-off and Jamberoo Mountain Road. Council’s Regional Illegal Dumping Project Officer Sara Rich believed the carpet originated from a commercial premise. “We suspect that the carpet tiles may be part of a recent renovation,” she said. “There’s also the possibility the material may have been dumped by offenders returning to the Illawarra. Under the Protection of the Environment Act penalties include fines of up to $2,000 for individuals and $5,000 for corporations. Residents who witness incidents of illegal dumping are urged to contact Council. 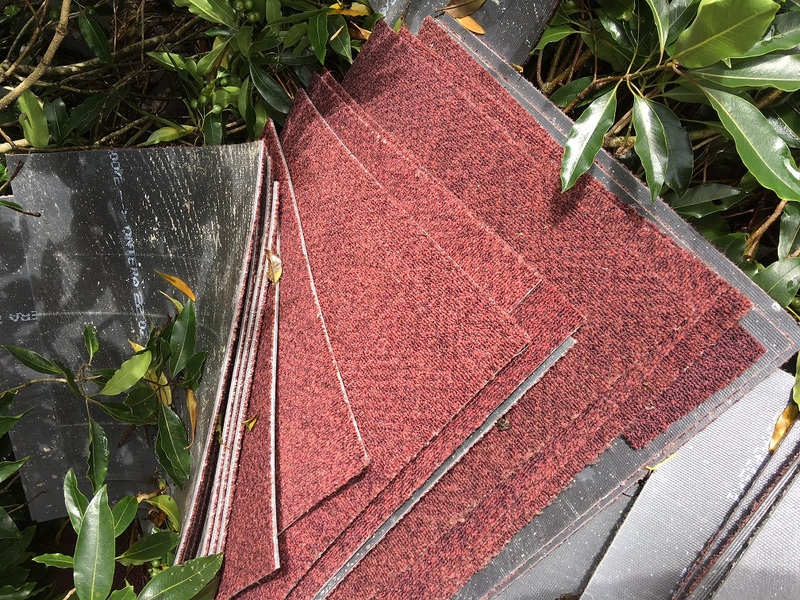 The carpet tiles dumped along the Illawarra Highway comprise of red and grey coloured large-format fabric tiles and prominent red trim. “We’re hoping that someone may recognise these distinct colours and get in touch with us to help identify where they originated from,” Ms Rich added. Anyone with information on the dumping is urged to contact Council’s Rangers on (02) 4868 0888. Any information received will be held in strict confidence. For more information on reporting incidents of illegal waste dumping phone the Environment Protection Authority (EPA) on phone 131 555 or visit www.epa.nsw.gov.au/your-environment/litter-and-illegal-dumping/report-illegal-dumping.